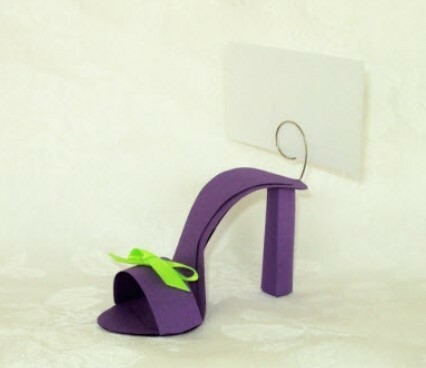 Another Diva Entertains exclusive, our stunning shoe place card holders are sure to steal some of the limelight at your party! 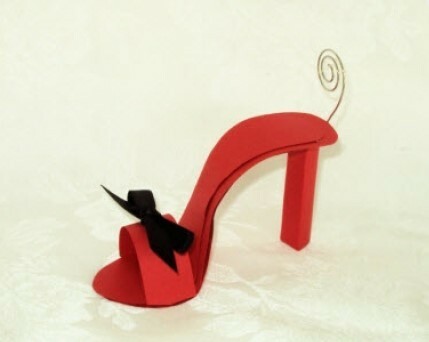 Each stiletto is meticulously hand crafted from sturdy card stock and stands on its own. 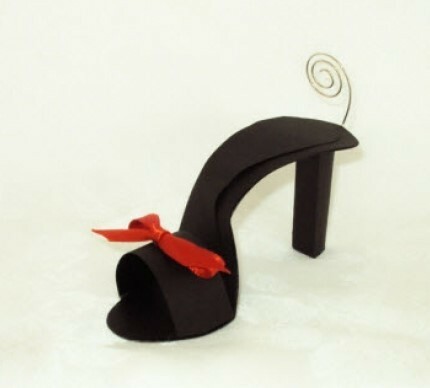 It was created to hold place cards (not table numbers, menus or larger/heavier items). They are 4" long x 2" tall at heel (without clip 2 3/4" with clip) x 1 3/4" wide at the toe.